Did you know that as our climate warms, we are actually returning to a more typical weather pattern for the Earth? That's right — we are living in an ice age, which means the temperatures and ice caps we think of as "normal" are actually extreme aberrations in the history of our planet. There have been at least five major Ice Ages (or glaciations) in Earth’s history. 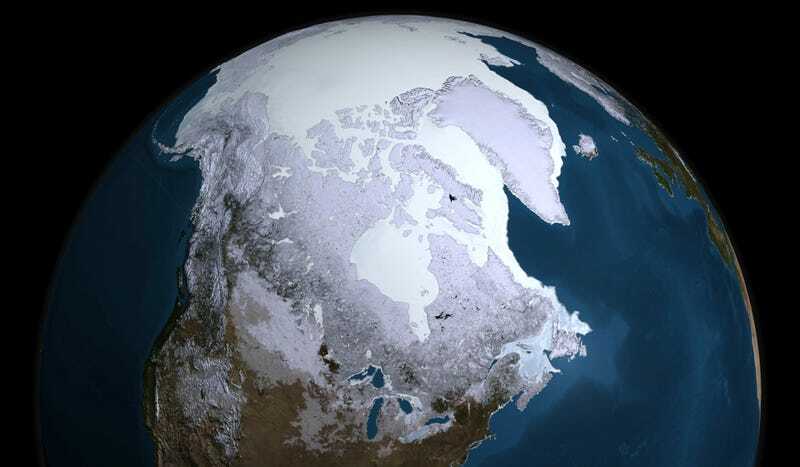 Earth has been ice-free, even in the high latitudes, for about 85% of its history. The first Icehouse Earth occurred at about noon on the 24-hour geologic time scale (about 2.5Ba). The last Snowball Earth, where polar ice sheets grow and meet at the equator, occurred about 800Ma and ended with increasing CO2 caused by volcanism. The change into an ice age occurs gradually, when more snow falls than melts, rather than a sudden cold snap. Our current geologic period, the Cenozoic era or the “Age of Mammals”, began 65Ma with the Cretaceous-Paleogene (K-Pg) extinction event. The current ice age, the Quaternary glaciation, beginning about 2.6Ma has featured 40K/100K year cycles of glacials/interglacials. The conditions needed to setup the current ice age took about 40M years, beginning with the thermal isolation of the Antarctic. The end of the current ice age will occur when the Greenland and Antarctic ice sheets melt. This will happen whether or not humans accelerate it.